The bus stop for the UN entrance for Wednesday is called Appia. The meet-up time for Wednesday is 8:30 AM (at the Pregny Gate). For those coming from the Pays de Gex, there will be a specially reserved TPG bus titled “FERMUN”, passing at 7:50 AM at the Ferney-Mairie stop, going directly to Appia. 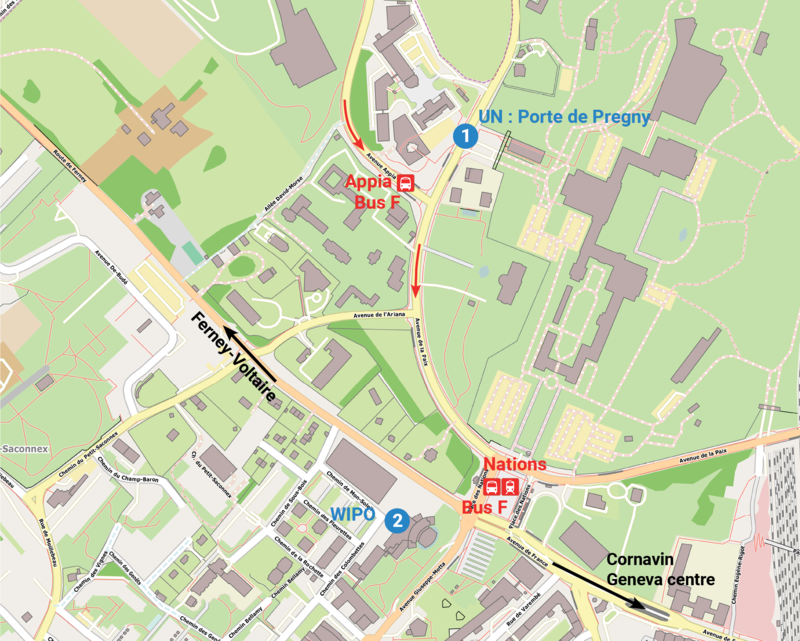 The bus stop for the entrance of WIPO for Thursday and Friday morning is called Nations. There will be a special reserved TPG bus marked “FERMUN”, passing at 7:50 AM at the Ferney-Mairie stop, going directly to Nations. 8:20 PM on Thursday after the play. Attention: Wednesday, January 16th, a bus marked FERMUN will pass at 6:10 PM. This one does not go to Ferney-Voltaire, but to the mission of France. Only those who have received an invitation must take this bus. FERMUN Buses are reserved for those staying in the Pays de Gex. They are free. For those not staying in the Pays de Gex, you can use the tpg.ch website to find a route. TPG tickets cost 3.00CHF or 2.80 Euros.